During the ceremony which took place on Friday, the governor said the JAMB centre would complement the effort of the state government in repositioning the education sector in the state. 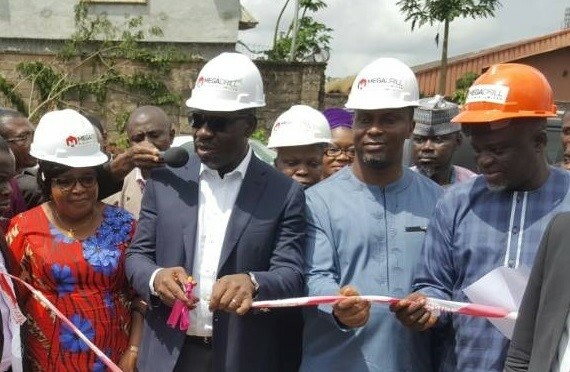 “The state government took the responsibility to provide the site for the project to enable our people have easy access to CBT Centre within the state, we did all within our resources to get the land for the project,” he added. Other dignitaries at the event were; the Registrar of the National Business and Technical Examinations Board (NABTEB), Prof. Ifeoma Isiugo-Abanihe; the Deputy Vice Chancellor Academics, University of Benin, Prof. Pius Iribhogbe; and the state Commissioner for Education, Dr. Christopher Adesotu.